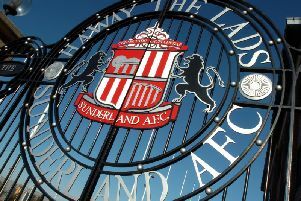 Gates outside The Stadium of Light. Three men are due to appear in court later this month after trouble flared at Sunderland's game against Coventry City at the weekend. Black Cats fans reported being hit with items coming from the away section of the Stadium of Light during Saturday's game. Supporters said bottles, coins and flares were thrown from the upper area of the North Stand. A video also emerged on social media appearing to show Sunderland and Coventry City fans fighting in a pub, with police moving in to break up the incident. Officers from Northumbria Police arrested a total of eight people following the match. Two Coventry City supporters and one Sunderland fan have now been charged with offences. Ben Thackery, 36, of Delamere, Bedworth and Daniel Nealon, 28, of David Wood Drive, Coventry, have both been charged with a public order offence. Steven Thomas Goodey, 35, of Springwell Road, Sunderland, has been charged with breach of a banning order. 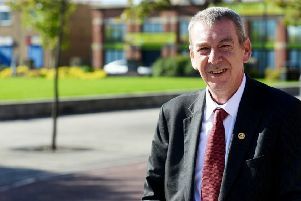 All three men will appear before South Tyneside Magistrates' Court on Tuesday, April 30. Three Coventry City fans arrested on suspicion of common law offences have been released under investigation while another will face no further action. One Sunderland fan who was arrested following the game will face no further action.